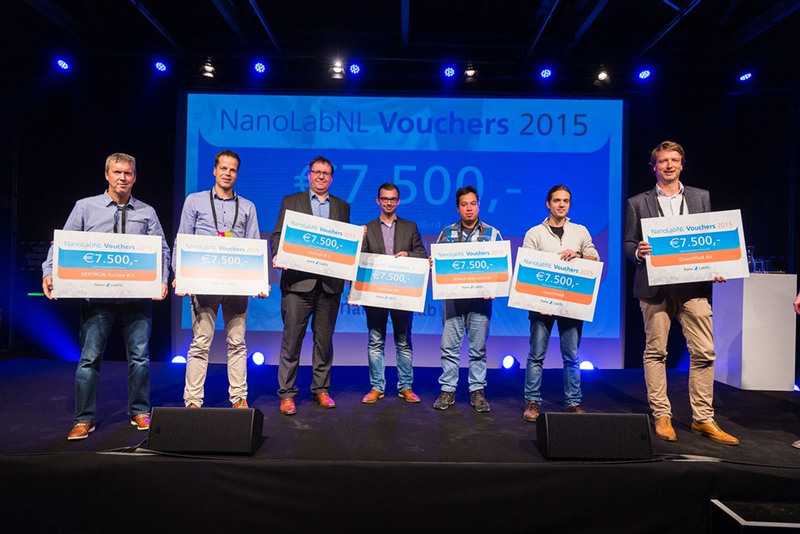 NanoLabNL, the cooperative consortium of research institutes in the field of nanotechnology infrastructure, presented ten vouchers to new industrial users of our NanoLabNL facilities. The vouchers, worth € 7,500 each, entitle holders to 50 – 75 hours of independent use of the facilities (including training) and/or related advice. The vouchers are intended for industrial parties such as start-ups and young companies that are building up a business based on research results. These vouchers allow companies to acquaint themselves with our research facilities in an accessible way, and are a way for us to stimulate commercial activity in this field.